A Work-In-Progress, low-cost and open-source project to give the functionalities of microscope and 3D scanner to a 3D printer. 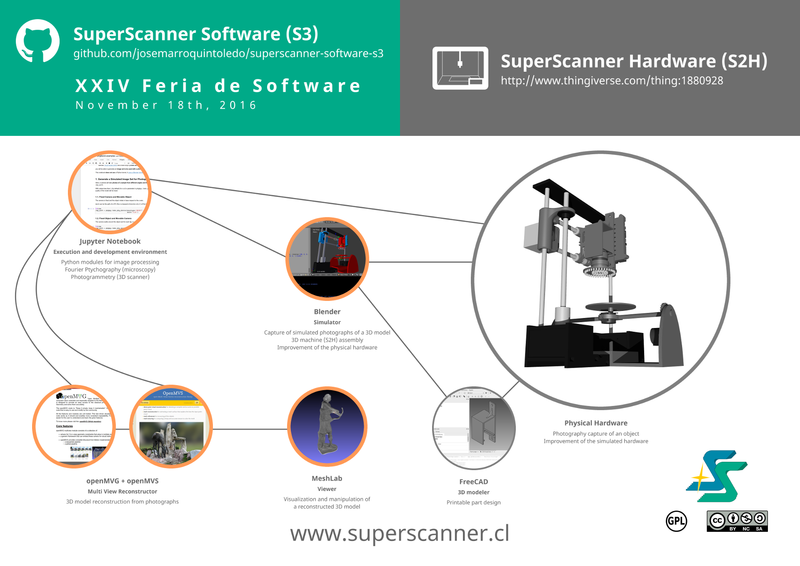 SuperScanner Software (S3) is licensed under GPLv2 license. SuperScanner Hardware (S2H) is licensed under CC BY-NC-SA 3.0 license. 1 The Feria de Software is organized by students, assistants and teachers from the Departamento de Informática of the Universidad Técnica Federico Santa María (UTFSM) from the Santiago and Casa Central campuses.